I’d been invited to attend a talk by Eoin Colfer, writer of the hugely popular Artemis Fowl series at The People’s History Museum, and decided to congratulate myself on my (unheard of) early arrival with a sneaky coffee and a cake in the lovely The Left Bank Café Bar. 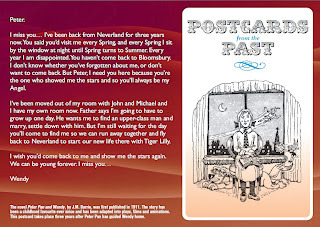 This was to be the first collaborative event between the Manchester Literature Festival and the Manchester Children’s Book Festival, so this was also the perfect moment to read the winning entries from the Postcards from the Past competition. 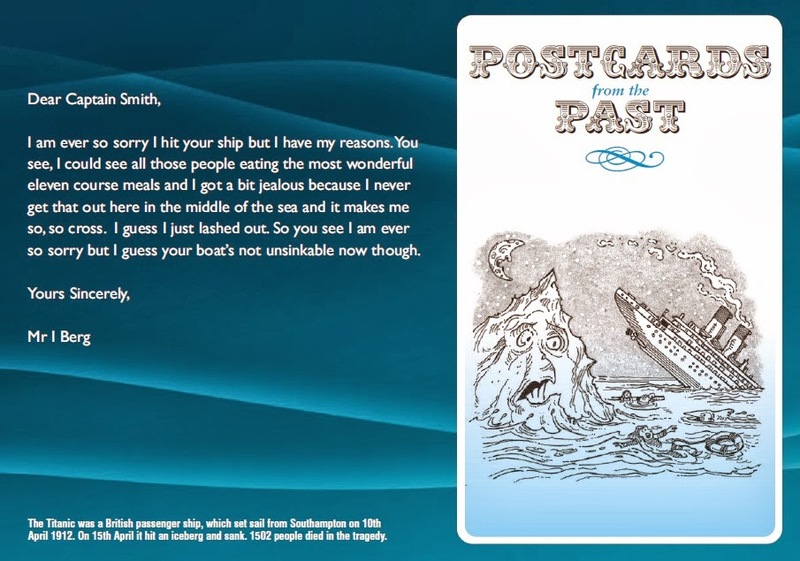 These four beautifully written postcards are each a reimagining of a moment of world or literary history, as told by a real or fictional character involved. 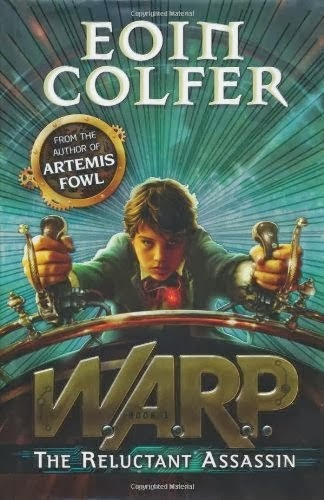 But the coffee and cake would have to wait, because at the next table sat Eoin Colfer himself, whose new book ‘W.A.R.P: The Reluctant Assassin’ is itself a reimagining of another historical era. I asked him why there is such a Victorian revival in literature at the moment, and why he thinks the steampunk genre holds such an appeal for young readers. He replied ‘It was a very dangerous time for children’, suggesting that what appeals, therefore, is ‘the thrill of danger, whilst reading in the safe place of the present’. But what is steampunk? It’s a creative space where anachronistic lifestyles and technologies meet the present. Think reimagined retro technologies – such as the steam engines of the Victorian era - now incorporating elements of the futuristic to create an amazing alternative history. Aptly, I later followed Eoin into the museum’s ‘Engine Hall’, to hear his talk to a sell-out audience of school children from across Manchester. But this wasn’t simply a talk to plug his new series of time-travelling sci-fi books. Rather, through his hilarious tales of his own life, from trying to toilet train his youngest son, to the trials of getting a teenage child to admit they love their dad, he showed the audience the fabulous stories to be found in everyday experiences. It led Shabeena Iqbal, age 12, from Abraham Moss High School, to reflect ‘I could write. I could write about my own life’. What really seemed to have an impact was Eoin Colfer’s suggestion that, unless recorded, the most interesting moments in your own life are lost, like a butterfly flying away, but that ‘if you’re a writer, you can catch that’. Later, Ben Holt, age 11, from Failsworth School, said ‘Today inspires me to keep a journal to do my own writing’. Eoin Colfer’s talk was followed by MMU’s own Kaye Tew announcing the winners of the Postcards from the Past Competition – a further exploration of alternative histories. More than that, the competition was also a chance to show entrants that creative writing is something we can all begin to explore. Beth Harrop, 10, winner of the 8 -12 category even confessed to me that she was ‘cheeky at the writing group’ she attended. 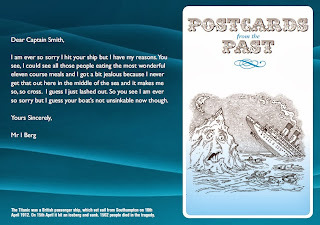 So when she suggested her Postcard from the Past about the sinking of the Titanic be written from the perspective of the iceberg, some in her group ‘thought it might be silly’. Not so, and her winning piece was both funny and original. Another brilliant example of how literature allows us to consider history from alternative viewpoints came from Aisha Akhtar, 17, and Shannon Barratt’s, 17, joint contribution in the 16 – 18 category. 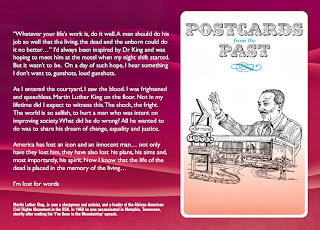 Their postcard from a shift worker at the motel where Martin Luther King Jr. was shot was both believable and thought provoking. 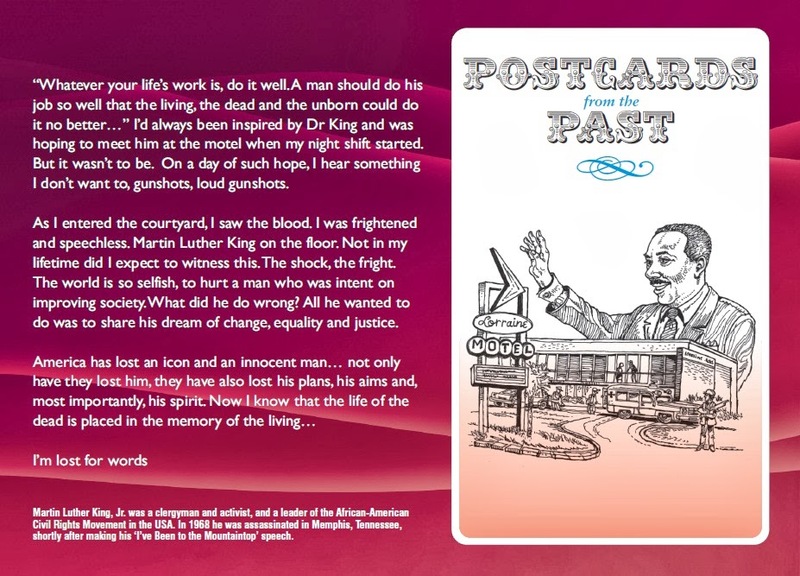 Eloise Heywood, from Lancaster Girls' Grammar School, was announced as winner of the 12-16 age category of Postcards from the Past. She will be presented with her award at her school, as she was unable to attend the event. 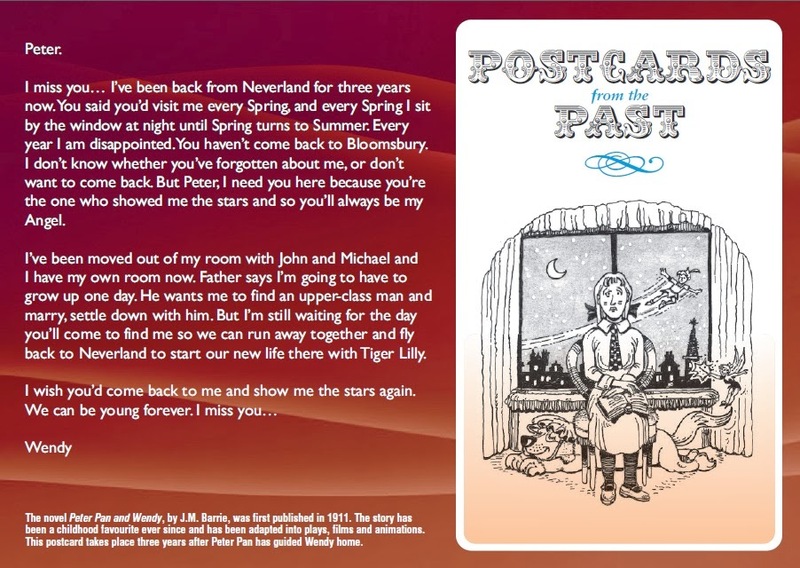 Eloise presented a beautifully written postcard from Wendy Darling to Peter Pan. For those who had been given the writing bug by Eoin’s talk, the afternoon drew to a close with the promise of another chance to get involved with the Manchester Literature Festival and Manchester Children’s Book Festival. Kaye asked the children to imagine life in the trenches during World War One, and begin to think about what message they would send if it were possible to send ‘Tweets from Trenches’, as this will be the focus of next year’s competition. After the excitement of getting a copy of ‘W.A.R.P: The Reluctant Assassin’ signed by the author, it was time for me to finally go and get my coffee and cake. But on my way out, I spotted Pheonix Jones, age 9, from Gorse Hill Primary School. One of the youngest audience members, I was keen to know what she’d taken from the day. She summed it up brilliantly, when with a big smile on her face she replied ‘I like reading, and I like reading fairy stories. Today it made me wants to WRITE a story’. The winner of the adult category will be announced at the MLF event, Sarah Dunant: Blood and Beauty, at the Friend's Meeting House on Wednesday, 9th October. Click here for tickets. I love postcards. They have a lot of memories stocked in. They bring people old stories back to reality, back to present, back to life. Cea mai buna alegere, cand vine vorba de achizitiile tehnologice, o reprezinta magazinele de calculatoare second hand, fara doar si poate.